Fortunately Australia is already a very, flat country as we are being squashed. In a good way I guess; just imagine being sat on by Billy Bunter, he who loved jam tarts. 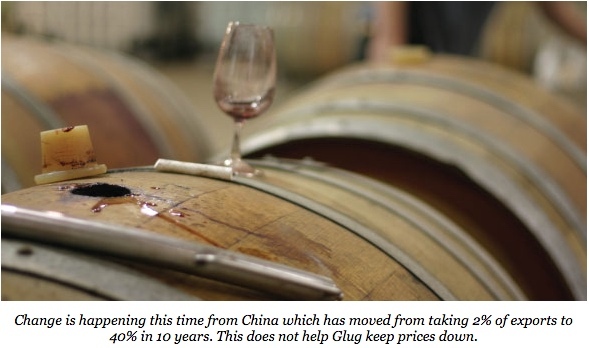 China, the goliath, has tasted our wines and finds them to its liking. Last week’s news is out of date as exports to China this year will exceed $1 billion. This number equates to 40% of exports and they are buying the best. The Chinese also like popping down to say hello as tourist numbers are soaring. 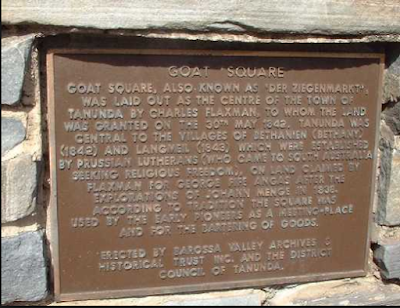 I now see touring groups every day in my Barossa town of Tanunda. What does this mean? Lots I think so here are my thoughts. 1. Western nations particularly European but also the US and Canada have an inbuilt bias to favour the wines of Europe as the lengthy history of wine making leads consumers to believe the wines are of better quality. Subjective bias is very hard to overcome. The Chinese carry no such baggage. 2. Of all the European countries we only penetrated one, the UK, and try as they may the top English opinion makers never overcame the same inbuilt subjectivity. Selling heaps at low prices in supermarkets, as we do, never provided the lift off for selling better wines. 3. For my customers China means prices of grapes are rising and tanks of wine are moving out faster than we would like. Glug operates best if the supply of fine wine is in surplus. The wines sold by the very large on-line retailer Vino Mofo are now 60% imported, I guess because they cannot buy enough local wines at the right price. So as I noted last week Glug is being pushed around a bit. My advice is to toss a few boxes of the lovely Kitts creek wines in the pantry. Also Benjamin is doing a fabulous job and being normal is like all the other winemakers I have met, he wants to improve quality. This means NEW oak barrels and they are expensive and add many dollars of cost to each bottle-not per case but per bottle. Again my advice is to squirrel away a few cases. There is strong price pressure on Barossa Valley grapes and I do not see this changing. Thus grab a case of the Kitts today and kick the can down the track. Full, rich ripe style just as we like em at Glug. Limit of one case of each per order. The grapes are sourced by us from the far northern Barossa so the wine delivers the bite and punch you would expect. Offers ultra-value at this moment. I call this a composite blend as it combines two great varieties with wine from many vineyards along the length of the Barossa Valley. Sensational result asc only the Barossa can deliver. I have not been too impressed for many decades at what passes for Rose in Australia. It has always been an after-thought, coloured white wine with lots of sugar, and a taste that tires after one sip. This is the real deal with grapes grown to make rose.